(1) When any person licensed to sell alcoholic liquor at retail sells alcohol for consumption off the premises in a container with a liquid capacity of five or more gallons or eighteen and ninety-two hundredths or more liters, the seller shall record the date of the sale, the keg identification number, the purchaser's name and address, and the number of the purchaser's motor vehicle operator's license, state identification card, or military identification, if such military identification contains a picture of the purchaser, together with the purchaser's signature. Such record shall be on a form prescribed by the commission and shall be kept by the licensee at the retail establishment where the purchase was made for not less than six months. (2) The commission shall adopt and promulgate rules and regulations which require the licensee to place a label on the alcohol container, which label shall at least contain a keg identification number and shall be on a form prescribed by the commission. Such label shall be placed on the keg at the time of retail sale. The licensee shall purchase the forms referred to in this section from the commission. The cost incurred to produce and distribute such forms shall be reasonable and shall not exceed the reasonable and necessary costs of producing and distributing the forms. 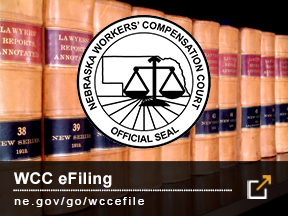 Any money collected by the commission relating to the sale of such forms shall be credited to the Nebraska Liquor Control Commission Rule and Regulation Cash Fund. (3) The keg identification number for each container shall be registered with the commission. The records kept pursuant to this section shall be available for inspection by any law enforcement officer during normal business hours or at any other reasonable time. Any person violating this section shall, upon conviction, be guilty of a Class III misdemeanor. Source: Laws 1993, LB 332, § 3; Laws 2015, LB330, § 23. To order keg books, please go to the Liquor Commission’s website: https://lcc.nebraska.gov. The Keg Book form is located under the Revenue Tab, Order Forms. This form should be emailed to nlcc.beerdesk@nebraska.gov and online payment can be made via PayPort: http://www.ne.gov/go/NLCCpayport -- Transaction Items – Keg Book and Sales Tax. Any questions regarding ordering a keg book can be directed to Natalie Johnson @ (402) 471-4882. Any questions regarding the statutory requirement can be directed to LeAnna Prange @ (402) 471-4892.